The retail supply chain has traditionally been focused on getting the right product to the right place at the right time, at the lowest cost. It still is. 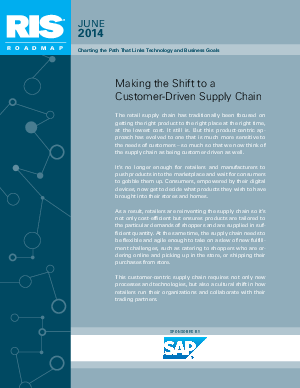 But this product-centric approach has evolved to one that is much more sensitive to the needs of customers – so much so that we now think of the supply chain as being customer-driven as well.